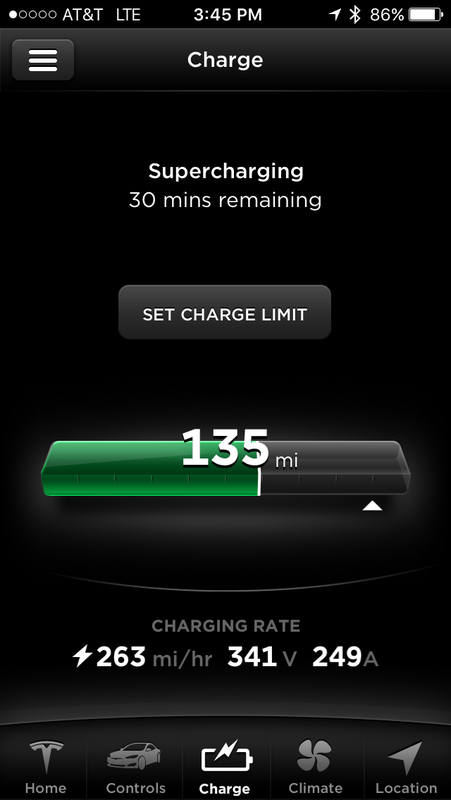 A good pal of mine asked several questions about range, charging and such after my Tesla – Best car for Hard Commute ! post… so here we go..
What percentage of battery is used on your commute? 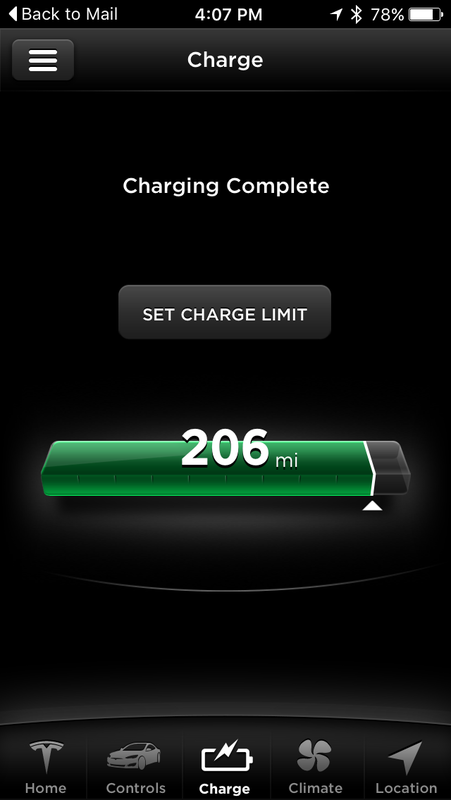 My typical range (for a daily charge of about 90% (it can be set to 100 % for longer trips)) is between 207 and 210 miles. My commute is 50 miles each way – depending upon driving habits (there are several factors and setting that affect range) I usually return home with between 130-160 miles of range left (as I am at a steady speed with regen-breaking on). Is there a place at work you can top off? No, but there are several dozen pay to charge locations around work and a free (and very fast Tesla super charger (see picture showing charging there) on the at home. But 99% of the time I would never need to charge until I get home. How many hours does it take to top off? Yes – as I said lots of factors go into total range – mode, settings, weight, temp, incline – I will do a future post in my first “range anxiety” experience and how it turned out in a subsequent post. Boat batteries last longer if they can be recharged asap after use. 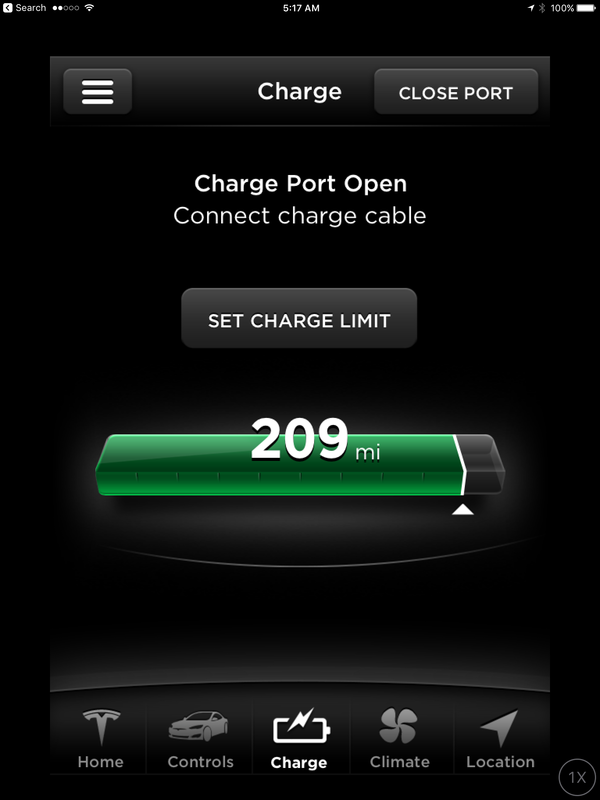 “Tesla love to be charged” – the simple saying is, when you are home, plug it in. They will not over charge and the batter managment handles all details. It stops charging when the battery is full, and you can set it to charge at night if electricity is cheaper for you then. Do Tesla batteries develop a memory if left at partial charge for extended periods? According to experience from other Tesla owners on the boards, after 8 years the battery will degrade less that 10% (typical) and the battery and motor have a 8 year unlimited warranty from Telsa. Previous Post Tesla – Best Vehicle for a Hard Commute! Next Post AMAZING: With v8.0 Tesla Model S & X’s radar will see up to two cars beyond the one in front of you.